At Century Center Chiropractic, we know every ache and pain is part of a larger picture. Our goal is to see the whole picture – and treat your whole body – with a custom combination of all-natural chiropractic services here in Atlanta. Whether you have an injury that needs help healing or an alignment problem that needs to be corrected, our Atlanta chiropractor can customize a treatment plan for you. Chiropractic care is designed to treat your body as a whole, rather than addressing isolated symptoms. 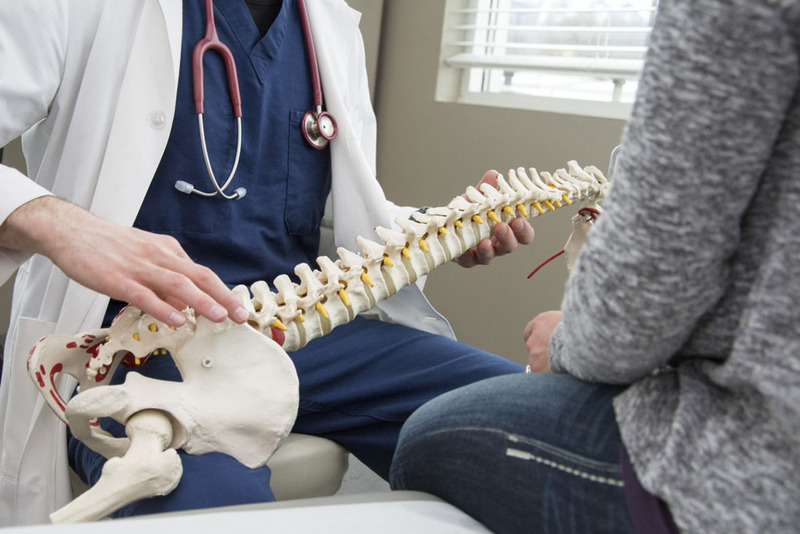 Our chiropractic team offers chiropractic treatments – including chiropractic adjustments and spinal decompression – to provide long-term solutions for a variety of conditions and injuries. After an injury or illness, your body may need help relearning certain movements and regaining strength. Our chiropractic team will help you reverse damage and speed up your rehabilitation process with a series of therapeutic exercises. From simple lifts and stretches to more complicated exercises, these movements should help stimulate your muscles and nerves over time. Corrective exercises are much more effective when they’re integrated into your daily routine. If your chiropractor thinks they’re a good idea for your wellness plan, we’ll teach you how to perform specific exercises safely and effectively at home. Chiropractic care is so comprehensive because it’s designed to address all possible sources and causes of your symptoms. That’s why lifestyle advice is part of most treatment plans. After all, your everyday habits and surroundings play big roles in your overall health, and sometimes small adjustments can prevent future problems. For example, the height of your computer monitor at work may cause unnecessary neck strain, which can lead to spinal misalignment and chronic pain over time. Our chiropractor will help you make small changes at work and at home, from creating a more ergonomic office to improving your sleep schedule and position. Our goal is to make sure every part of your life is truly optimized for your health and happiness. Of course, your diet is also an important part of your wellness regimen. Nutritional changes can help – or hurt – your body’s ability to heal, support itself, and maintain its ideal balance and strength. Our chiropractor will create a custom nutrition plan to help you adjust your eating habits and improve your health from the inside out. Are you ready to achieve your wellness goals and re-balance your life with chiropractic care? We’re ready to treat you at Century Center Chiropractic. Just call (404) 634-1669 to make an appointment with our Atlanta chiropractor today.